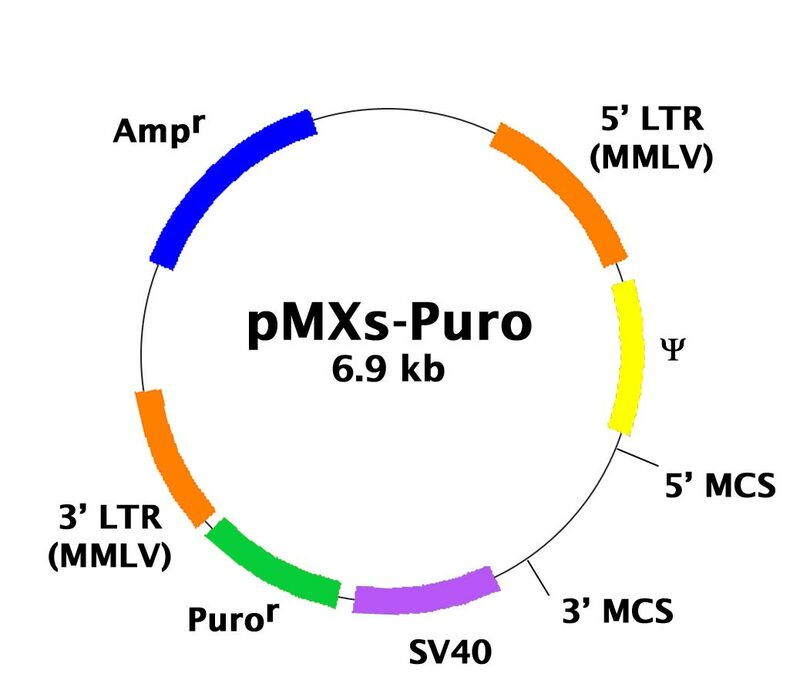 pMXs-Puro Retroviral Expression Vector | Cell Biolabs, Inc.
Yamashita, S. et al. (2016). Mitochondrial division occurs concurrently with autophagosome formation but independently of Dro1 during mitophagy. J. Cell Biol. 215:649-665. Arisawa, K. et al (2016). Saturated fatty acid in the phospholipid monolayer contributes to the formation of large lipid droplets. Biochem. Biophys. Res. Comm. 480:641-647. Hedberg, M. L. et al. (2015). Genetic landscape of metastatic and recurrent head and neck squamous cell carcinoma. J Clin Invest. doi:10.1172/JCI82066. Yeon, J. T. et al. (2015). Arginase 1 is a negative regulator of osteoclast differentiation. Amino Acids. doi:10.1007/s00726-015-2112-0. Yeon, J. T. et al. (2015). KCNK1 inhibits osteoclastogenesis by blocking the Ca2+ oscillation and JNK–NFATc1 signaling axis. J Cell Sci. 128:3411-3419. Mori, S. et al. (2015). Identification of APOBEC3B promoter elements responsible for activation by human papillomavirus type 16 E6. Biochem Biophys Res Commun. doi:10.1016/j.bbrc.2015.03.068. Lui, V. W. et al. (2014). Frequent mutation of receptor protein tyrosine phosphatases provides a mechanism for STAT3 hyperactivation in head and neck cancer. Proc Natl Acad Sci U S A. 111:1114-1119. Chan, E. C. et al. (2014). Mastocytosis associated with a rare germline KIT K509I mutation displays a well-differentiated mast cell phenotype. J Allergy Clin Immunol. 134:178-187. Chmielecki, J. et al. (2014). Comprehensive Genomic Profiling of Pancreatic Acinar Cell Carcinomas Identifies Recurrent RAF Fusions and Frequent Inactivation of DNA Repair Genes. Cancer Discov. 4:1398-1405. Parikh, C. et al. (2012). Disruption of PH–Kinase Domain Interactions Leads to Oncogenic Activation of AKT in Human Cancers. PNAS. 109:19368-19373.